Work for Sage Business Cloud Financials? Learning about Sage Business Cloud Financials? One, ability to automate routines financial tasks. I can automates activities such as posting ledger transactions and reconciling bank account. Two, the product works very well with most devices. Access is assured from any device which include android gadgets. Basically, the product ensures accessibility. Three, it has a very helpful support team. The technical support is friendly and responds to the clients promptly. The only one thing I found disastrous is that the product has no way to view the total credits or debits. Again, it is somehow techy for first time users. This app is useful, it brings to the table accounting capabilities that enhance compliance as well as simplifies it by the use of features such as multi-dimensional accounting. Buying it is not a waste of your money. By using this app, we were solving data storage problem. We can now store large amounts of data. The app has helped enhance accountability, speed, and compliance to accurate financial management processes. We have lots of time for other activities as we create quotes, estimates and convert them to invoices with only one click of a button. "The revolution is here, the cloud at your own pace, level at level. Grow with your business. " First of all the innovation is appreciated, the idea of ​​making the entire ERP and CRM offer from the cloud in its entirety is a nod to the future. Secondly, the support of the Sage family, is a company with a lot of time in the market, developing products, working with independent talent and creating the figures of allies in the development of products. The guarantee of access from any device including Android and IOS, anywhere and at any time, is the biggest advantage of the Cloud ... Accessibility and Flexibility. The scalability has always been one of the strengths of ERP Sage. The addition and elimination of users, creation of groups, profile levels is done in a very simple way. The design and graphical interface is very interesting, the combination of colors, the modernization of the image of Sage, it is clear at all times for the user that it is a tool in the cloud, rather than a program that looks like an application at a visual level. The offer of complements and additional packages, very well delimited is an aouesta of markenting. The buyer has the option of complementing the tool with what he really needs. Although I have not verified it, the integration option of ERP and CRM different to the platform allows the migration of the company to this tool. I think it is a bet to position in the market and facilitate the change of non-traditional customer platform. The reports is one of the strongest points of this family of ERP, its integration with excel and spreadsheets, as well as, the infinity of personalization options is very attractive. In the same way, the integration with other tools and payment channels is one of the best ideas, the truth is that the people of Sage want to gain market share. It contemplates payment channels, and electronic commerce with novel aspects. The cloud is a cutting edge tool, so its use is not fully accepted and is not commonly used in much of the economy. Just as there are people who validate accessibility and flexibility, there is another group of people who prioritize data security and integrity. For some institutions, the idea of ​​not directly storing their data in places they control is not very convenient. It depends largely on the access and speed of internet connection, in many areas and countries this is an inconvenience. The access from any device at the end is developed as information query, core activities are still very cumbersome to handle on mobile devices. The segmentation of packages gives the sensation of acquiring a very basic plan, incurring new investments when complementing the tool with the suite of complements. Which transforms into hidden or uncalculated costs. For companies of small and medium size, as well as companies from emerging countries, it is a costly tool, and even more so if the needs of the company at ERP level are clear. Although it is a friendly and easy to use tool, it is not standardized, which entails an investment in staff training. In some cases it requires investment in Hardware. You can further develop the part of payment channels, integration with Paypal, AirTm, Credit Card, and electronic commerce. Including marketing channels of emerging countries. At the time of implementing an ERP for our company or business there are a myriad of options, although I believe that the appropriateness or not of the tool depends more on our company than on the program itself. 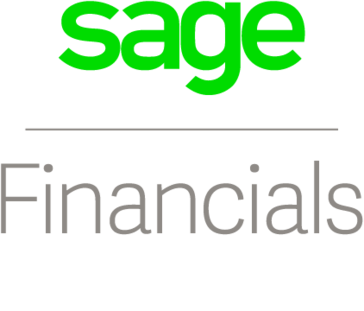 In our opinion Sage Bussines Cloud Financials is ideal for service companies, consulting, trade impact in large geographic areas, national, regional or international companies. For which the management of schedules, places, distances, makes access and flexibility are of vital importance. It adapts very well to companies with a large sales force, since access to mobile devices guarantees a good management of the requirements of the client portfolio. Companies that require a large storage capacity should think of this program as a solution, in the same way companies with high turnover of personnel need a program that is easy to use and with a short learning curve like the Sage tool. Basically innovative companies, that bet on the future, with a business development planned in the coming years, with the financial capacity to invest in this type of programs. Data storage, the first benefit of the cloud is the ability to store large amounts of information. Substantial saving of disk space and servers. The management of the IT areas, of the developments and of the improvements of the program are in great measure of the manufacturer. The technical support is of good level, Sage is characterized by having a friendly website, a well trained staff, and offers acquisition plans that includes some media for free. The scalability is very user-friendly management of user groups, accesses, profiles, processes and communications. Access from mobile devices, little investment in staff training for the management of the application. The reports are very complete and easy to understand. One of the points of improvement of the Sage family was the implementation tied to Windows environments, in this version the integration with other environments is contemplated. "Accounting software for mid-sized companies for growing their businesses "
Keep the business very compliant, efficient and productive it also provides a smooth systematic approach to accounting and maintaining the general ledger. Another main reason that I like the system is it minimizes the human error. The automated information evaluates company integrity, project, and the customer profitability. I like the system very much and it makes my day to day accounting activities easy so nothing to complain about so far. 1. Reconciling bank accounts, chasing invoices, posting ledger transaction. 2. Accessing the old general ledger and other accounts for report writing purposed and finding the old errors that created the new issue. 3.Day to day AR & AP reporting. 4. Invoice management and report analysis. 5. Our company workers were highly mobile accessing to the same report from different parts of the company during the conferences calls made the life easier. "efficient,time saver and reliable solution to small and large businesse"
sage business keeps time when performing its operations .for repetitive tasks,it automatically responds so as to give an immediate feedback.it is ready available and one can operate it from his or her country.it allows users to make corrections on their posts,they can post and repost so as to improve the quality of their work. so far i don't dislike the software but a few things have to be adjusted so as to improve on its working condition.it appears to be very technical and requires a lot of effort to learn,debit and credit entries are highly restricted. sage business has created networks and is globally recognized.it empowers and enlightens people for a better future.anyone hoping to join should not doubt it,it is the right way to go. As a consultant ,am trying to make it easy for people to understand it in a simple way possible. This software is great because you have access to several different aspects of the business. There are so many different uses for it and so many reports that can be run from it. It also helps with efficiency of getting things done. I think this software could be a little more user friendly. Sometimes it is difficult to maneuver around the software. Additionally, there are times where the software forces you to print out confirmations when you update something, and this can be wasteful. Looking at the ins and outs of our company. "Making a Better Future With Sage"
financial health was needed since we have been with Sage for over 3 years. At this time there hasn't been enough experience with the program to know that. Our Financials have been done by someone who is not with us anymore and who was a big part of the financials. Having Sage on board has made things much easier and we feel we are heading in the right direction for our company. "Game Changing Online Accounting Software"
Capable of handling 1-1000+ users. These types of features are typically only available in enterprise level software like Intacct, Acumatica, Financial Force, NetSuite, Oracle or SAP. You won't find this in Quickbooks, Freshbooks, Xero, Sage 50 or any other entry-level system. What's unique about Sage Live is that they've priced it to be affordable for most companies - starts at $120/month for 2 users and 1 company. 2 users and 100 companies is only $275/month. That is ridiculously less expensive than the other enterprise level systems out there. You can certainly use Sage Live as a small business, but the nice thing is that as you grow you can stay on the same system and not feel the need to change. If you are a mid-sized or large company, you owe it to yourself to take a look at Live before you make a decision on spending lots more money for perhaps the same thing. No more hardware issues, enterprise level functionality in a small-mid size price point. "Financial Mgmt in the Cloud !" You can keep all the information in different tables so it is easy to find out the any information easily. You can combine the data and pull according to your requirements. I don’t like the layout and design. It look like old school design. It should look fresh and colourful not dull and boring. I used it for creating invoices for different clients and it is very easy software. Provides real time accounting from anywhere I am at; at the office, out of the office, while traveling, etc. When using Sage live on my smart phone, sometimes the area I am does't allow me to receive the most current information. It's not Sage's fault, but it does make it hard sometimes. I am solving the problem of not having to be in front of a computer to forecast my business. The reporting is amazing and easy to understand, easy to follow and makes it very easy to share and explain to others. This program is extremely expensive and not worth the money to be honest. tried to offer easement to staff and this made matters worse. "Business with SAP in the Cloud"
I like that the controls are better than QB, less room for errors. Less user friendly than QB. Search function by amount is absolutely terrible. "Sage is an Amazing Find 🙏"
"Step up from Quickbooks "
Automated revenue to save you time and doesn't require any external reporting tools. * We monitor all Sage Business Cloud Financials reviews to prevent fraudulent reviews and keep review quality high. We do not post reviews by company employees or direct competitors. Validated reviews require the user to submit a screenshot of the product containing their user ID, in order to verify a user is an actual user of the product. Hi there! Are you looking to implement a solution like Sage Business Cloud Financials?